Attorneys are investigating potential car title loan lawsuits against predatory lending companies that target financially vulnerable consumers for high-interest loans and force them to use their cars as collateral for the loan. Even though in some cases the value of the title loan is only a fraction the value of the vehicle, if the borrower defaults on the loan he or she is at risk of losing the vehicle. Send your Car Title Loan claim to a lawyer who will review your claim at NO COST or obligation. Car title loans refer to loans where borrowers use the title to their car as collateral on the loan. Predatory lending companies target financially vulnerable consumers, offer them short-term, high-interest loans, and then require the borrower to use the vehicle as collateral for the loan. When the borrower defaults on the loan, the predatory lender takes possession of the vehicle, even if the amount due on the loan is a fraction the value of the vehicle and even if the borrower is only a few days late on payment. A survey from the Federal Deposit Insurance Corporation found that more than 1.1 million US households made use of auto title loans in 2013. Court documents filed in relation to one lawsuit estimated that in 2008, more than 70 percent of title loans resulted in vehicle repossession. Losing their vehicle makes it difficult for borrowers to continue to work, drive to important appointments, or otherwise carry out day-to-day activities. Furthermore, attempts to pay back these predatory loans can push borrowers into bankruptcy. In some cases, the interest rate is as high as 500 percent for loans that last anywhere from a month to two years. Meanwhile, not all lenders follow the rules in the states they operate in. Some lenders, for example, operate without proper licensing in the states they offer loans. Borrowers complain they are forced to sign two documents, one with a much higher interest rate than initially agreed on. Further, some plaintiffs allege when their vehicles are repossessed and sold, they are not given the full amount made on the sale over and above what was owed on the loan. 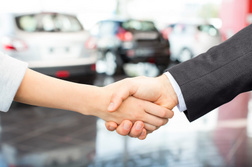 The Federal Trade Commission and various state agencies have begun looking into car title loan companies, with action taken against companies who allegedly failed to disclose terms and costs of their loans, or who aggressively market their loans and violate FTC regulations. Attorneys are now investigating lawsuits against predatory lenders across the United States, but especially in Utah and New Mexico. In some states, title loans are illegal or interest rates are capped. Other states allow title loans with no limit on the interest rate. Lawsuits allege predatory lending companies target financially desperate individuals, misrepresent the likelihood of the risk of defaulting on the loan, conceal the true costs associated with paying off the loan, and purposely misrepresent details around the sale of repossessed vehicles to ensure borrower's receive very little once their car is sold. A class action lawsuit was filed by Judith Tichenor against New Mexico Title Loans on behalf of people who took out a loan with the company and later lost their vehicles (case number 15-810). Other lawsuits have also been filed across the US. Loan max in clearbrook is horrible. They repoed my car after being 3 days late. And then they woukdnt let me get my stuff out of it. And sold it withing 3 days. Dont i have a time frame to get my car back. I regret doing this but i had no choice at the time. I took out a title loan on my car for $500. After making a few payments, the car was wrecked and towed to the shop. I only had liability insurance, and I am disabled and on a fixed income so I could not afford to pay the tow fee or get it fixed. I called the loan company and told them where the car was and that I was no longer able to pay on it. They have the keys, title, and the address of where it is at yet they keep calling and harassing me about making a payment. Now, I received a letter in the mail saying that they are going to take me to magistrate court and take whatever I have that is worth $500. Can they do this??? My wife and I fell on hard times. We took a loan out with title max in la feria, tx. The terms keep changing. I would like to know our rights. Took out a title loan in Feb 2016. Made payments for a couple of months. Became unemployed. Once I was working again, I made a few payments. Actually had someone call me and threatened to have me arrested... which is illegal. They had people call posing as Police Officers to scare me into making a payment. I went four months without making a payment. I was in an accident in December - not my fault. Car is a total loss. As part of my settlement, the lien on my car was paid in full. Title Loan company signed the lien release and agreed to mail my title back to me - all this with the insurance company. Woke up this morning and the car was gone. The title loan company had forgotten to take it off the the repo list. Had the insurance company call and the title loan company admitted they made a mistake. Took four phone calls and finally a call to the local police department to report the car stolen to finally get my car back. I am not done. Hello I purchased a car back in April 2014 for $15,600. I paid a total of $7,386.1 since then and my lender Santander is telling me my payoff is $14,688 as if January 2017. I was in a bind at the time of my purchase and got slapped with a high interest loan. Now I'm stuck with a vehicle that's not worth more than $4000 dollars and I'm not sure if there's anything I can do about this. I've tried to get them to send me paper work with a breakdown of everything which I never get and they keep saying there's only 24 months of payments when I have the paperwork from my bank to prove otherwise. I've tried to pay off/settle the difference or refinance for a better rate and they won't work with me. I'm not sure if I have any rights as I'm reading more online about Santander and their practices or if this is just a life learned lesson. :-( Look forward to hearing back soon. Hi, I got my car tile loan down to 211.00 just paid 60.00 on it before Christmas. Woke up this morning and they repro my car saying I broke a verbal agreement and now I owe 511.21 to get my car back...this wouldn't be the first time I said I would come in and didn't and they would call me 10 times harrassing me but this time they called once on the 26th of Dec...please help I might loose my job!!! someone reallyneeds to look into this for state of AZ because they havecompletely outlawed paydayloans which makes title loans very predatory. Especially due to the fact that they lie to customers and tell them they are doung a non title loan. I experienced a recent situation where the loan co was trying to convince me into a contract and insure me my car title was only needed for records. When I wrote kn the application that " per verbal contract....thos is not a title loan" they refused to push the application through. After firther investigation I found out that a majority of the companies I had spoke with all lied about the conjuctions of their Registration / title loans. This state makes it impossible to obtain rental assistance in a majority of areas so to avoid eviction in the event of job loss we're forced into further debt and auffering by unfair practices by loan companies swooping into take give hardly any financial compensation forvehochles we've workd hard to own! We should also have option for hort term payday loan options instead of doing title only loans, more so under the false pretens that we won't lose our vehichle if we default.